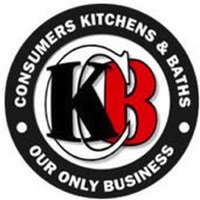 Consumers has helped over 750,000 of our Long Island neighbors realize the kitchen or bath of their dreams for more than 40 years, by introducing a unique retail concept that employs a fundamentally sound structure from the bottom up. Consumers offers the highest quality cabinets available in the industry at the guaranteed lowest prices, along with revolutionary computerized design services and quality customer support. An unwavering commitment to these ideals has made Consumers the nation’s fastest-growing specialty retailer. Modern facilities exceeding a quarter of a million square feet, millions of dollars in “state-of-the-art” computerized technology, innovative designer showrooms, and the optimum in warehousing and delivery equipment all help ensure our customers receive the best possible home remodeling experience.